Gift Set by Camo Chique. Blanket measures 34 x 34" small receiving size - starts out as a receiving blanket, as she gets older becomes a favorite snuggie. Blanket is polyester microsuede, receiving nursery swaddling size. Easy care machine wash/dry. 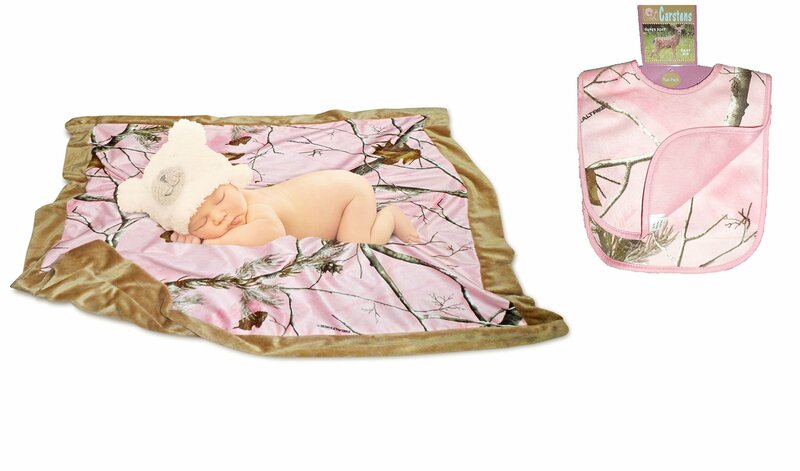 The perfect gift for the country baby! Comes with a Psalm 23 blessing prayer card for your new little one.